Smarter, better-connected, self-monitoring homes and offices provide safer, more secure, low-energy buildings able to self-manage utilities. One of the much discussed, but yet to be realised, dreams for architects, engineers and progressive developers is the idea of the zero-waste, zero-energy building – one which, when in use, has zero net energy consumption and zero carbon emissions. As operation accounts for 85% of the total whole-life energy consumption of a building and buildings account for the majority of global CO2 emissions, this would be an enormous step forward. Alongside the design of an office, home or factory, and the materials used in its construction, a key part of the process is to create ‘intelligent’ buildings – ones which adopt low- and high-tech methods to ensure optimum management of resources. With the major technological advances taking place, increased integration of control systems and, in some markets, regulations for the rollout of smart meter systems, all the ingredients for the high-tech option are falling into place. With several countries such as South Korea taking the lead, smart homes that control energy, ventilation, communication services and so on are starting to be built. 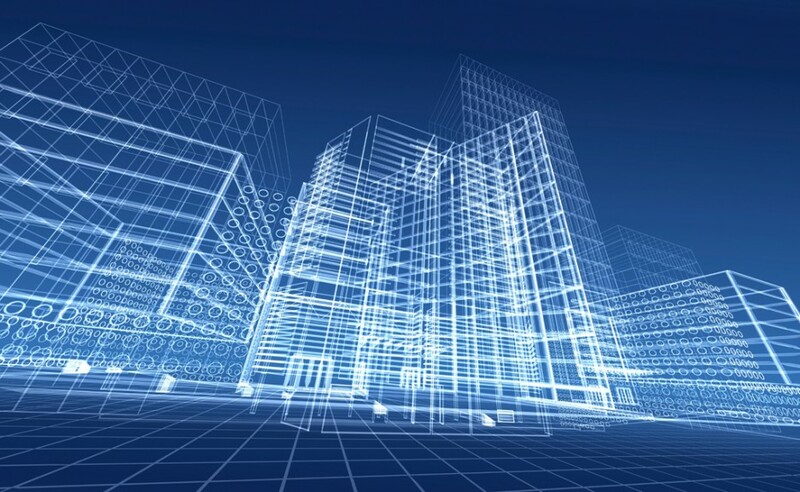 By 2020, many foresee that the majority of new buildings being constructed around the world, and many that are being refurbished, will be increasingly intelligent and so provide a big push towards the zero-energy building so avidly being striven for. Today, 40% of the world’s raw materials go into buildings and in the US they already represent 70% of total energy use, of which around half is wasted. In the EU, where air-conditioning is less prevalent and the average home is smaller, buildings currently account for 40% of energy end-use. A recent report from the SMART 2020 programme forecasts that, with increasing urbanisation, worldwide energy consumption for buildings over the next twenty years will grow by around 45%. The challenge is clear and action is finally being taken. While the concept of the intelligent building has been around for several years now, as we move towards delivering the reality, there is increasing alignment around what it is and what it can mean. With a vast array of organisations from the EU and the city of New Delhi to IBM and Cisco all pushing towards the realization of intelligent buildings, there is a growing wish-list of the capabilities that they will have. Most agree that, at the core, is a networked digital control system that will manage a host of services in the most sustainable and economical manner. On top of that backbone we have the ability to manage and control energy and water provision and consumption, heating and ventilation, lighting, building access as well as options such as surveillance and even tracking of people and things within the building. Some even see that, as part of new telecare and teleheath systems, buildings will soon have a major role to play in healthcare and be a key component to the rollout of automated people care. As IBM views it, ‘thousands of sensors can monitor everything from motion and temperature to humidity, precipitation, occupancy and light. The building doesn’t just coexist with nature, it harnesses it. Smart buildings can reduce energy consumption and CO2 emissions by 50% to 70% and save 30% to 50% in water usage.’ The SMART 2020 programme, which looks at both technological and social change around carbon emissions, sees that smart buildings and accompanying smart grids will save around 4 gigatonnes of CO2 equivalent emissions in 2020. By bringing together ubiquitous computing and ‘The Internet of Things’ into the built environment, sensors and embedded micro- and nano-control systems can effectively make the intelligent building and all its services into a highly tuned machine, just like in a high-performance vehicle. The majority of energy, ventilation, access and water devices will have embedded RFID chips or SIM cards and so become intelligent objects within a wirelessly connected environment. Clearly the volume and complexity of all the information generated by the different systems within each building will be significant, but with the ever increasing availability of cheap processing capability, most experts do not see this as a barrier. What does raise concern are issues such as conflicting standards in the construction industry, differing opinions of the best solutions, a lack of financial incentives for building owners to invest in smart technology and the generally slow response of the building sector to change. However, many commentators pointed out that progress is on the cards and momentum for change is itself building. A critical element in all of this is the role of smart meters which will be introduced across many parts of the developed world over the next decade. In the EU, smart meters are seen as pivotal to meeting the energy consumption targets that have been agreed for 2020. Wirelessly connected to both utility suppliers and home management systems these will not only measure instantaneous energy and water consumption but also be able to provide pricing information to help building owners and occupants tailor supply and demand. With their ‘bi-directional communication capability’ that will enable utility companies to undertake better demand side management, these smart meters also open the door to the idea of smart grid where energy is sent to, from and between different locations. With each building effectively acting as an active node in a grid, local energy production and storage can become far more efficient and consumption peaks and troughs can be smoothed. Taken in conjunction with more distributed sources of renewable energy supply such as wind, solar and biomass, the smart grid and intelligent buildings can really make a difference in energy consumption and sustainable living. As part of the Future Agenda project, a team of postgraduate students at the Royal College of Art designed a localised smart grid system ‘Just Energy’ that showed how this concept may look and feel in reality by 2020. On top of the functional side, many architects and engineers are also very keen that future intelligent buildings are also better places to live and work in: they should be ‘safe and secure’ but also ‘comfortable and make us feel happy and valued’. The regulatory actions already undertaken will ensure that, in many markets, the capability is there for more of the infrastructure to become increasingly ‘intelligent’ in the way that utilities, communications and access are managed. The challenge will be for us as individuals to both change our consumption behaviours, many of which conflict with improved efficiency, while at the same time preserving – and ideally enhancing – our ability to get the most out of our buildings. The average building is around for sixty years so whole-scale change to the zero-energy ambition will take far longer than the ten years currently under discussion but, through a combination of retrofit and new-build, over the next decade, many people are positive about progress in developed and developing markets. Indeed, some suggest that, linked to the rollout of high-speed broadband, developing countries could use intelligent buildings as another opportunity to leapfrog over the developed economies which have more of a legacy of infrastructure to deal with.